Public Notice: After discussionn with Mr. Michael Albano, Esq., solicitor for our Planning board, the Board meeting scheduled for Monday, July 22, 2013 has been cancelled. There is no businness to be brought before the Board. 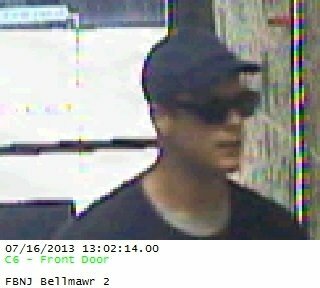 Police have released images of a man they say robbed a local Fulton Bank branch Tuesday. The robber entered the bank in the 300 block of Browning Road at 1:05 p.m. He passed a note to a teller demanding money, then fled on foot with cash, authorities said. The culprit is described as slim, about six feet tall and about 25 to 30 years old. The developers responsible for the Cherry Hill Mall, Voorhees Town Center, Jersey Shore Premium Outlets and other well-known, up-scale retail centers are working on setting up their newest venture in Gloucester Township. Gloucester Premium Outlets — a 450,000 square-foot retail outlet and commercial center planned for the area between the Black Horse Pike and Route 42, near Cooper and Zimmerman roads — has gained final local approvals and could begin construction as early as September, Gloucester Township Mayor David Mayer said. “We hope there will be shovels in the ground in September,” Mayer said, adding the goal is to have it open by November 2014 for the holiday shopping season. Almost three years after they allegedly kidnapped and killed a 23-year-old Camden County man and then fled to Florida, the Bahamas, and Cuba, two former Voorhees residents have pleaded guilty to charges stemming from the September 2010 homicide. Diane Camacho, 28, pleaded guilty Wednesday to conspiracy to commit murder and agreed to testify against Denis A. Catania, 51, who pleaded guilty to aggravated manslaughter the next day. Damien M. Leo, 38, had pleaded guilty in May 2012 to manslaughter and agreed to testify against Camacho and Catania. The three were charged in the killing of Ross Heimlich, of Somerdale, who was 23 when reported missing from Voorhees for about a day. On Sept. 29, 2010, his body was found charred beyond recognition in a car fire on the 100 block of Linda Avenue in Hammonton. State officials have made their first buyout offers to homeowners whose properties were slammed by Hurricane Sandy, with plans to start closing the sales before Labor Day. The news came today as Gov. Chris Christie toured a storm-affected area of Middlesex County, where the state has processed or is expecting more than 200 applications for buyouts under a program overseen by a panel of state and federal agencies. The first offers came from a field of 129 homes in hard-hit Sayreville, which have long been in flood-prone areas. 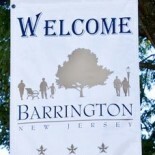 This entry was posted on July 17, 2013 by Barrington Bulletin in Borough Hall, Crime, Region.